I always think of the dietary changes needed in the coming months of winter. Everything begins to slow down, you can even see it in nature; the bright greens growing dimmer and some beautiful color changes in the trees with some oranges and bright yellow colors as they gracefully fall off to the ground scampering like chipmunks and squirrels as they pick up the biggest acorn they can find. Time to stop complaining about the weather time! Sometimes it seems easier to just complain about the weather as fall and winter approach; especially about the time changes when we will be experiencing less and light. The lack of light; especially sunlight does pull on your mood and allow you to feel a bit down and you need to fight it with some changes that are positive. There are mood enhancing light boxes that you can sit by to get some of the light you may need to perk yourself up. Other ideas include finding some friends who want to make some new changes and get them to walk with you indoors at a local mall. Other sporting ideas may be to get yourself out of the house with a football, and coming soon, hockey game. Begin a serious look at your diet and start to eat less of those fatty foods, replacing them with grains, beans and lentils meals. 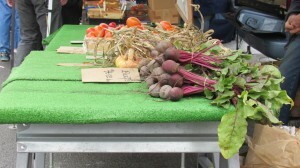 Try some new recipes using such veggies as beets; inventing your own recipes or following some that you find. Other changes I have in my path are physical ones; trying to keep trim in the winter months is something to think about. I still walk daily with cleats on my boots, and it may not be as long as my summertime walks but I still persist. And I have basement exercise equipment with a TV set in front for those days when I cannot get out of the house because of a snow storm. I also do yoga at home and teach it. The yoga keeps me young and in touch with others that I meet in my classes. Socializing is important in the winter time. Even if you do not live in a cold climate, it still gets dark early so you may have too much time on your hands to snack too much and gain weight. Since wintertime is a slowing down time, do not slow down yourself, keep yourself busy and active throughout the year. This entry was posted on Wednesday, September 17th, 2014 at 10:05 am	and is filed under Healing Ways. You can follow any responses to this entry through the RSS 2.0 feed. You can leave a response, or trackback from your own site.